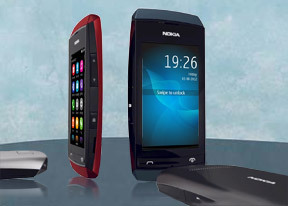 Plez help me that i will buy nokia asha 305 or 306????? Does it support to whats app ??????? Anonymous, 01 May 2013luk man dis phne is so boring is slow in the internetAre u paid to smear it? team nokia to the end! Anonymous, 30 Apr 2013Does not live up to its price & sound is poor for a Nokia phoneIts sound is poor??? Please don't lie here or better yet reduce the amount of wax in your ears. Nokia brand phones are still the best. If you dont like it then just go and purchase another freakn brand!!!!!!!! Does this phone support viber ?! Plz !! this is a nice cell phone with low cost.but it has multiple features more than china mobiles.the price is very high it should cost not more than 15$. This Comment is for all you folks commenting on this phone after Nokia's recent update on this model the current version I am using is 5.93 and now its freaking awesome to its best. Its working so fast and the touch is much better that is was. And BTW nokia has developed a model like this for those who can't afford and buy expensive smart phones! I manage my email,social networking,whatsapp. What more you want more than these days for normal users! its true nokia asha is very use less mobile and there wifi and internet is also useless and gaming is very bed and gaming graphic is also bed and can not downloaded skype and even angry bird game. plz do some changing in nokia asha 306.
what kind of video format does this support?